Puutarha be IN surance: Дървена градинска пейка "Дейзи"
Размери: дължина - 120 см, широчина на място за сядане 35 см, височина на пейката 45 см. Профилите на металната част са с размери 25/25 мм. Перфектна като допълнение към мебелите в градината. Пейката е без облегалка, предназначена е за градини и дворове, паркове, обществени площи, детски площадки и заведения, хотели и др. Wooden Garden Bench "Daisy" - the perfect furniture for your home. 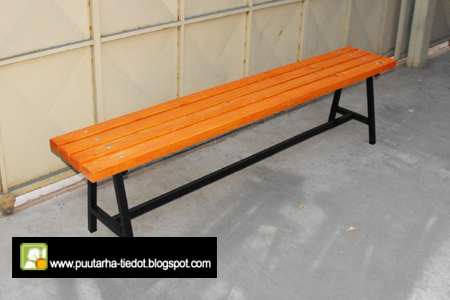 The bench is made of wood and metal frame and undercarriage parts are metal and the surface area is treated pine wood. 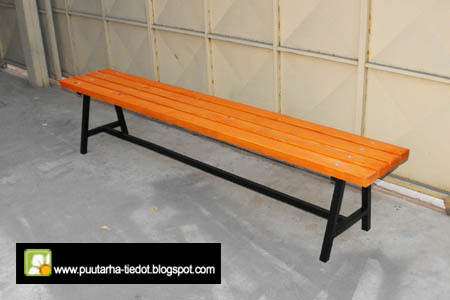 Metal part is treated with paint "Protecta" 3-in-1 boards and the bench are covered with water-soluble varnish with UV protection that protects the wooden part of the sun's harmful rays. The bench can be used without attachment, but it is recommended to attach the ground with anchor bolts or ferrocement to be more stable. The profiles of the metal part of a size 25/25 mm. Number of seats - 4 people. A perfect addition to garden furniture. The bench seat is not designed for gardens and yards, parks, public spaces, playgrounds, restaurants, hotels and more. Price: 107.00 lev. / Pcs. In Sofia 25 lev (10 pcs.). For quantities over 10 pcs. - Price negotiable. For the whole of Bulgaria - the price list Econt.